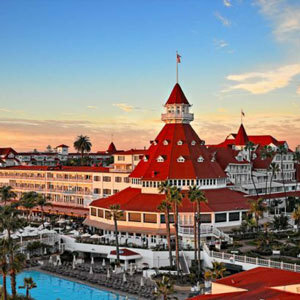 The Hotel Del Coronado property in San Diego, California, features hotel bedding made by DOWNLITE. The Hotel Del Coronado uses two of our pillows. The main one is the Chamber style pillow shown below, it features a core filled with a blend of feathers and then a top and bottom featuring down. They also buy a much smaller amount of the PrimaLoft, luxury down alternative pillows also shown below.